Incorporated less than a year ago, with 56 accredited landlords representing over 1,339 buy to let properties, we are very happy to announce that the NLCE UK has been officially licensed to be an accredited provider of the Rent with Confidence Rental Standard this week. Bristol City Council, along with North Somerset Council and other councils in the West of England, has relaunched a scheme that aims to help people find good quality rented accommodation in the city and surrounding areas. Rent with Confidence is a voluntary scheme that aims to protect tenants by setting out a benchmark for landlords and letting agents in the private rented sector. The scheme will help tenants rent with confidence, knowing that their landlord or agent is approved and should meet realistic standards. Representatives from landlord, agents and tenant groups worked closely together to agree a standard which includes ethical letting principles. 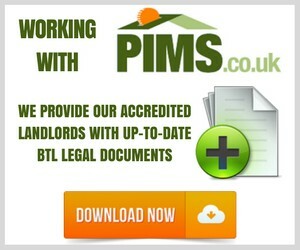 Other additions to the scheme include a section on tenant responsibilities and new incentives for accredited landlords. Seven organisations have been approved and their accredited agents and landlords will be able to use the scheme logo and marketing material. The scheme is run by Bristol City Council in conjunction with Bath and North East Somerset, North Somerset and South Gloucestershire Councils and has also been supported by Plymouth City Council. ‘The scheme aims to encourage responsible landlords and agents to do more than the legal minimum and is achievable for most landlords and letting agencies. The standard also recognises that tenants should meet their responsibilities and co-operate with reasonable requests from their landlord. We appreciate that most landlords want to their best for their tenants, and this standard will give renters confidence that their property should meet acceptable standards. 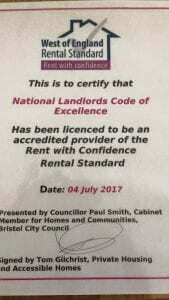 Coupled with the NLCE UK Accreditation Scheme and the NLCE Maintenance Reporting Portal, The West of England Rental Standard recognises responsible landlords and agents whilst complimenting the enforcement action available to the council against criminal landlords and agents.